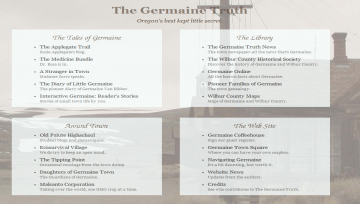 "Tales of a small Oregon town"
The Germaine Truth by Duane Poncy and Patricia J. McLean is a mystery novel updated weekly. The Germaine Truth has not been reviewed yet. The Germaine Truth has not been recommended yet.